This work presents the experimental investigation results of high performance and low emission colorless combustion in a gas turbine tubular combustor at atmospheric conditions. Low emission and colorless oxidation reaction is characterized by dispersed flame and temperature under the conditions of preheated air. System performance, emissions of CO and UHC are recorded up to achieve low emission colorless combustion, the flame capturing, Measurements of temperature, inlet air mass flow rate and gas fuel LPG flow rate for variable of fuel main injector holes diameter. concluded that maximal air mass flow rate, with choked fuel flow in the main injector for each cases promotes the formation of colorless pal blue flame combustion, for 3.2 g/s of fuel flow rate with 6 holes and 1mm main injector holes diameter and lower CO emissions and decreasing in UHC emissions (70 → 10) ppmv with increasing in power generation (0.5 → 3.42) kW and decreasing in S.F.C. (21.5 → 3.49) kg/kwh. 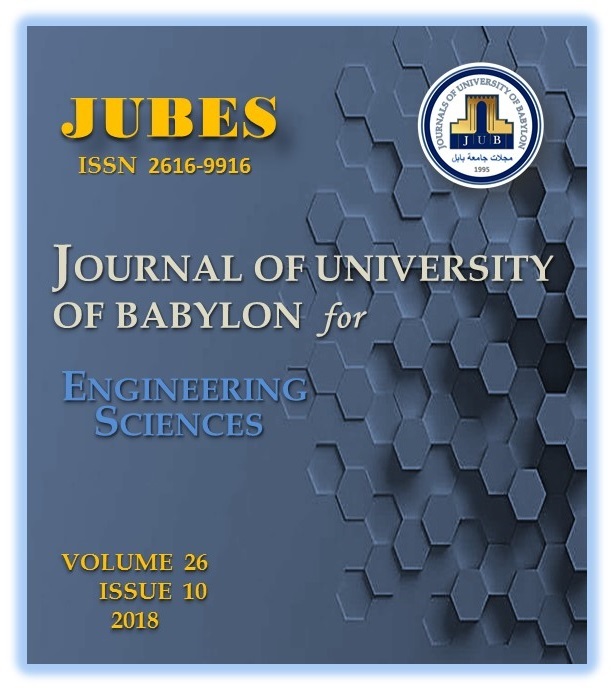 A. Husain, M. Mashkoor, and F. Khalaf, “Gas Turbine Tubular Combustor Main Injector Optimization for Low Emission Combustion”, JUBES, vol. 26, no. 10, pp. 1 - 12, Nov. 2018.